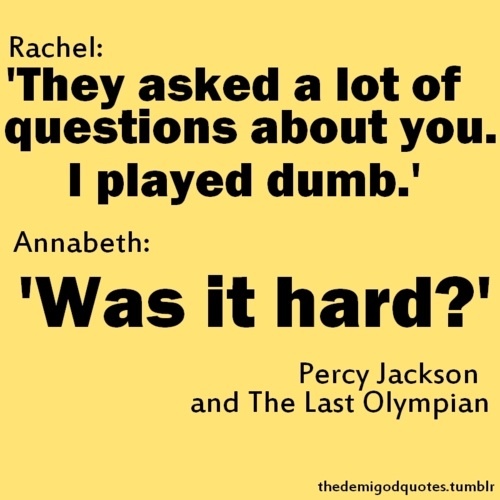 Isn't this quote from The Battle of the Labyrinth, not the Last Olympian? I think so, but it might have been at the end of TLO where the police interviewed legit everyone in New York. :O. Tumblr got it wrong! Whoa! Better put some cold water on that burn before it becomes serious!